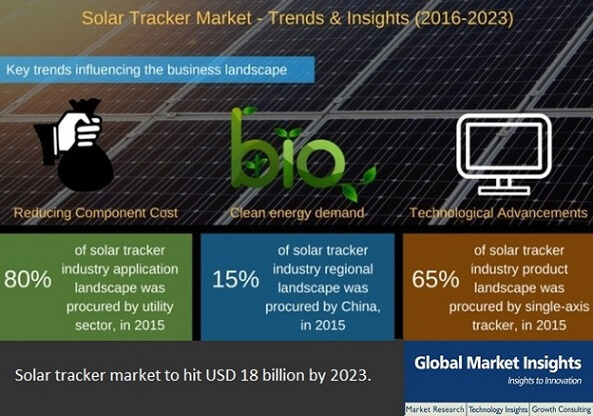 Being conceived as a rather progressive business space, solar tracker industry has established itself firmly among the higher-end industries of today. The fraternity is characterized by a plethora of collaborations and facility expansions, given the ever-growing demand for electricity across the globe. A recent instance of the same is that of the reputed solar tracker market firm, Array Technologies foraying into Latin America. If reports are to be believed, the company plans to expand its footprints across the LATAM belt by establishing a subsidiary in Mexico City and commercializing its single-axis solar tracker, DuraTrack HZ v3, in the Mexico solar tracker industry. Through this move, the company aims to lay the foundation of a fundamental shift in the country’s power consumption trends. For the record, Mexico has set ambitious goals with regards to sustainability - the country aims to generate around 35% of its energy supply via renewable sources by 2024, which is certain to augment the growth of solar tracker industry in the region.